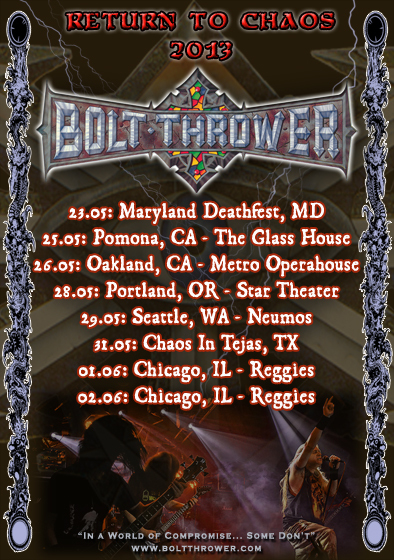 Finally, after only a handful of North American dates in the past few years, limited to Maryland Deathfest, BOLT THROWER has announced the Return to Chaos tour. 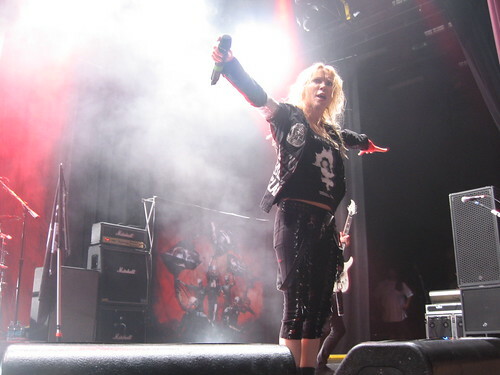 The band will perform seven shows across the US in May. The confirmed dates are listed below, and include Maryland Deathfest, Chaos in Tejas, as well as club shows in Pomona, CA, Seattle, WA, Chicago, IL, and more.